The Ring of Kerry is one of Ireland's most popular and best known driving routes. The fact that it's called Ring of Kerry should give you a clue on that. It loops around the coast of the Iveragh Peninsula in the southwest of Ireland. Driving in Ireland is not necessarily for the faint of heart or the timid. Having said that, go for it anyway! 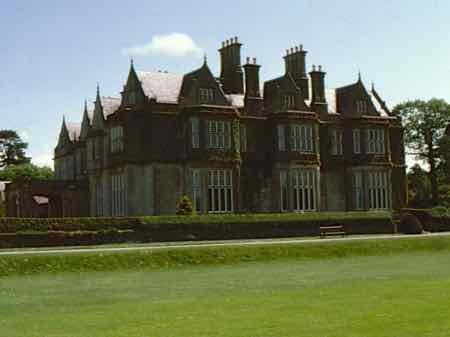 Near Killarney you can visit the Muckross House and the Ross Castle. If you want a shorter and less crowded route, you could see the Dingle Peninsula... and see these at the start of that drive too. 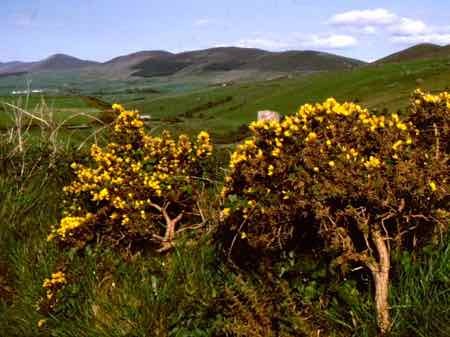 The roads tend to be narrow with hedgerows or stonewalls right up to the edge of them.... and add in the challenge of driving on the left. You'll also most likely be driving a stick shift unless you've specifically requested an automatic shift car when you make your rental car reservations. Driving yourself is not hard, we just wanted to be sure you know what you're getting into. And on the Ring of Kerry, you will encounter some of those narrow roads, especially if you take a few diversions along even narrower roads to see some of the sights the guidebooks recommend. This driving route tends to get crowded in high season. 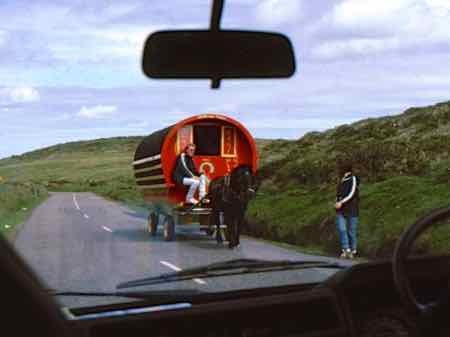 You might get stuck behind a caravan as European motor homes are called. You're even apt to come across a tourist bus on these roads... that's a thrill! If you start earlier in the day, you may be able to avoid these. Maybe you'll even have to dodge a horse drawn wagon! You can find driving guides telling you which roads to take and what to look. Do your research in guidebooks and on the internet. You'll most likely want to start and end this loop in Killarney. But we think you should allow two or three days so you can really enjoy it... and avoid those buses. There really isn't any problem finding small hotels, B-and-B's or Pubs with rooms along the way. If you drive in a counter-clockwise (or anti-clockwise) direction you'll be heading in the same direction as the buses. You might be frustrated following them from time to time, but you'll be less likely to meet them head on. With those narrow roads, following a slow bus might be preferable. You'll pass craggy coasts, brooding mountains and charming small towns and villages. You can find ancient stone forts along the way. The Leacanabuaile Stone Fort was inhabited during the bronze age and maybe much earlier. There are also remains of beehive huts there. That's right subtropical gardens. Amazing what those ocean currents can do isn't it? Along the coast the towering rocks of Great Skellig and Little Skellig are seabird sanctuaries now, but in the 12th century, monks lived and worked here in more of those beehive huts. One of the most beautiful views in this circuit of natural beauty is the "Ladies View" of the Killarney Lakes and the National Park. Look for signs so you can take in this view that Queen Victoria's ladies-in-waiting loved. In spite of the crowds and buses, the Ring of Kerry is pretty enough that it's worth seeing. Everything there is just so... so Irish.